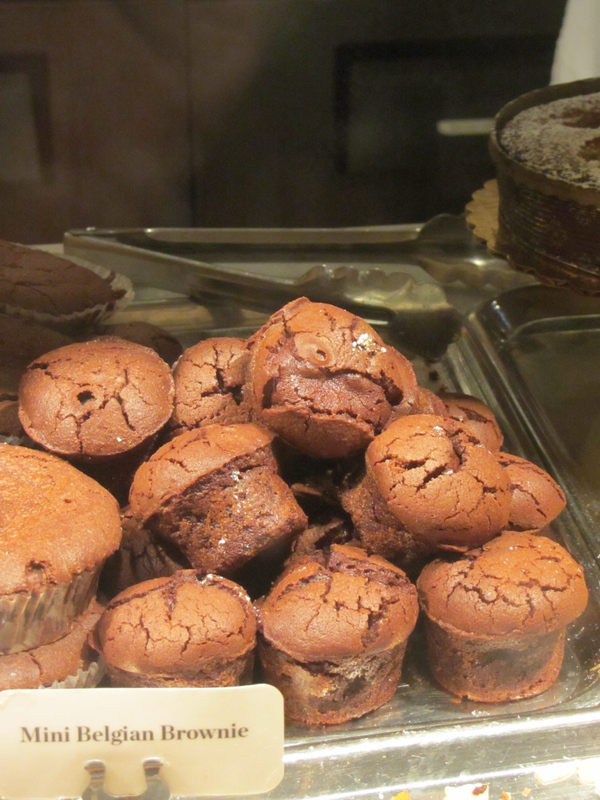 It recently occurred to me that I have never, not even once, in the three years and some change that I’ve been keeping this blog, ever written about the mini Belgian brownies at Le Pain Quotidien. I eat these at least once a week, sometimes more, making the fact that I’ve never shown them a little blog love just plain ol’ ridiculous. I mean, really now, what have I been doing? I get butterflies in my stomach just looking at these. Or maybe I’m just hungry. So today, on this day-o-love, I dedicate this post to you, mini brownie from Le Pain Quotidien, because I love you, so very, very much. If you were a person, I’d wanna marry you and have a thousand of your babies, because that’s how serious I am, mini brownie. My love affair with these little baked bundles of chocolatey goodness started a few years ago, when I first moved to the city and still worked in journalism. One of my coworkers at the time, a fellow overworked and underpaid editorial assistant, introduced me to the mini brownies at the LPQ conveniently (for us) located next door to the building we worked in. When deadlines started approaching and then whizzing by for all of the interviews, stories, and editing that was piled up on us, we’d sneak out of the office and meet downstairs… for mini brownies. 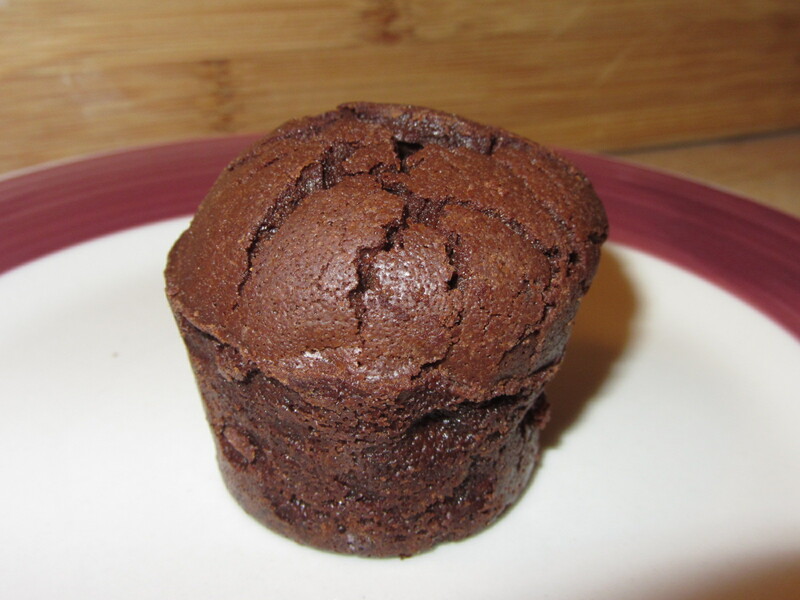 My darling sweet mini brownie, how I love you so. Fast forward to almost four years later, and many, many brownies eaten all over this great big city, and I’m still smitten with LPQ’s minis the most. They’re moist and soft in the most perfect, spot-on way every single time and their rich chocolateyness borders on buttery and creamy. I, meanwhile, am damn near ecstasy each time I eat one. The normal sized version, round and obviously just as delicious, is tasty too, but something about the mini size just feels exactly right to me. They’re like a concentrated shot of pure chocolatey awesomeness, right to the heart, Pulp Fiction style. Without fail, every time I eat one I wish I had a hundred more that I could eat right then and there, one right after the other. Yea, that’s crazy, I know, but hey, that’s love. This entry was posted in Sweet stuff and tagged brownies, chocolate, Le Pain Quotidien, mini Belgian brownie, Valentine's Day. Bookmark the permalink. yummmmmy!!!! looks so good. happy valentine’s day!